There is nothing quite so sad as seeing a favourite area of a house or garden ravaged, ruined and fallen into disuse. 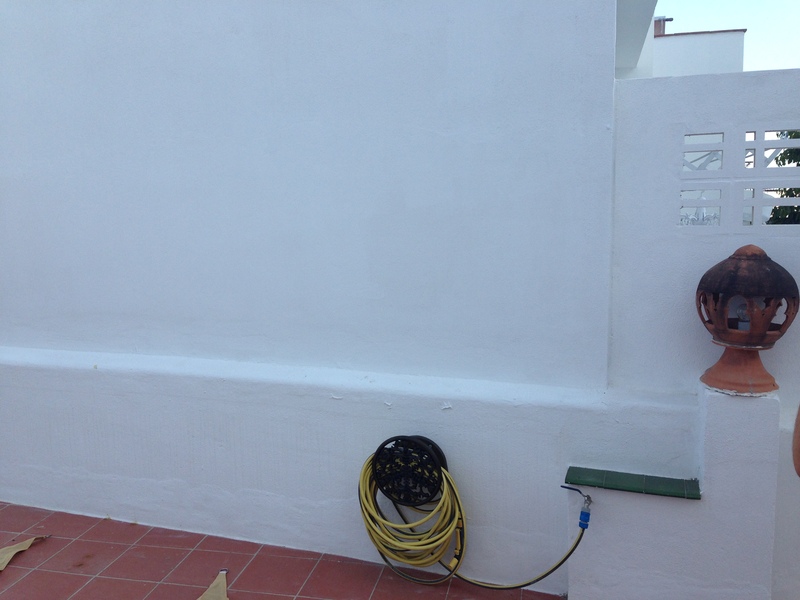 Which is exactly what happened over the last few years to my family’s roof terrace in our town house in Marbella, Spain. Having been at the heart of so many holidays, our roof terrace, once a prime attraction of our house with views across Marbella towards the sea, had become the victim of our neighbours’ renovations and reconstructions, first when the house two doors down was demolished and rebuilt, and then when the house immediately next door was rebuilt likewise, and a new large wall constructed right next to our terrace. 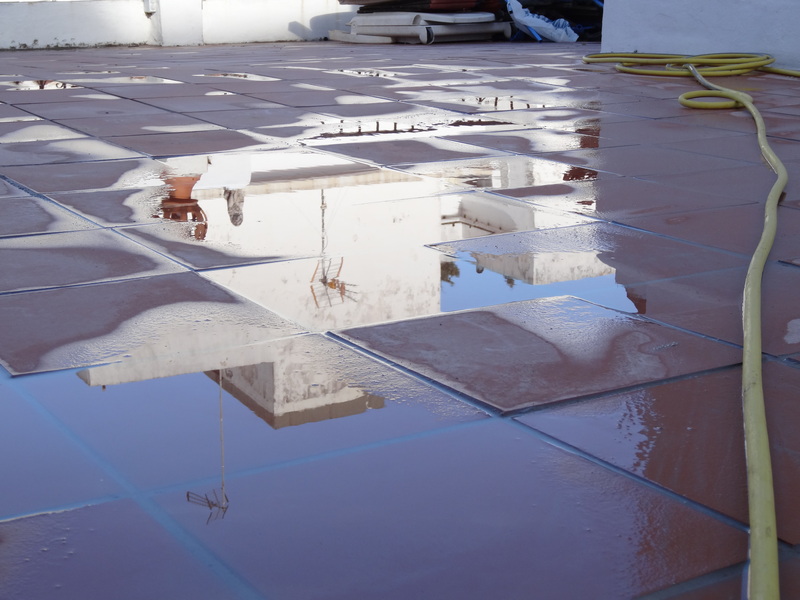 What with the continuous process of construction rendering our terrace unusable for years, as well as the direct impact those works had on our terrace floor, its walls and every other surface, our terrace fell into disrepair and disuse. 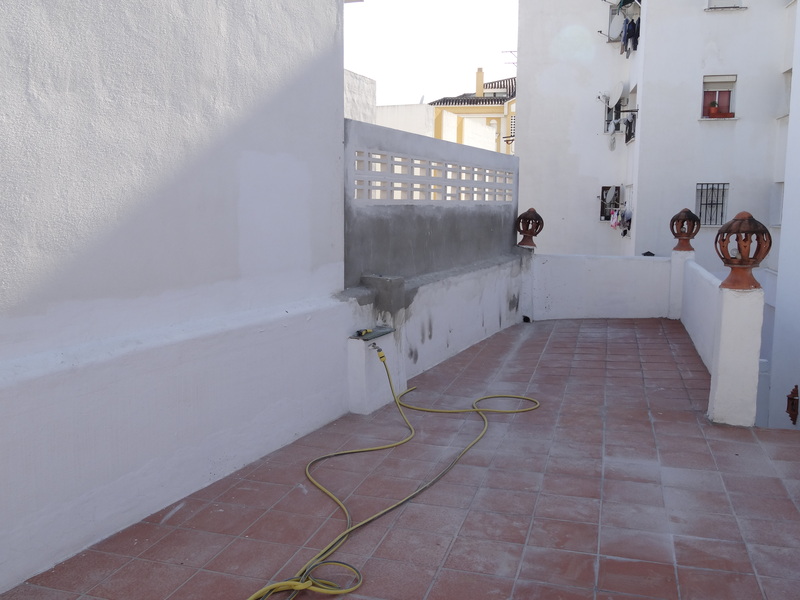 Finally last summer, the construction works ceased, our terrace received its first lick of white paint, and I decided to do something to make it habitable again. 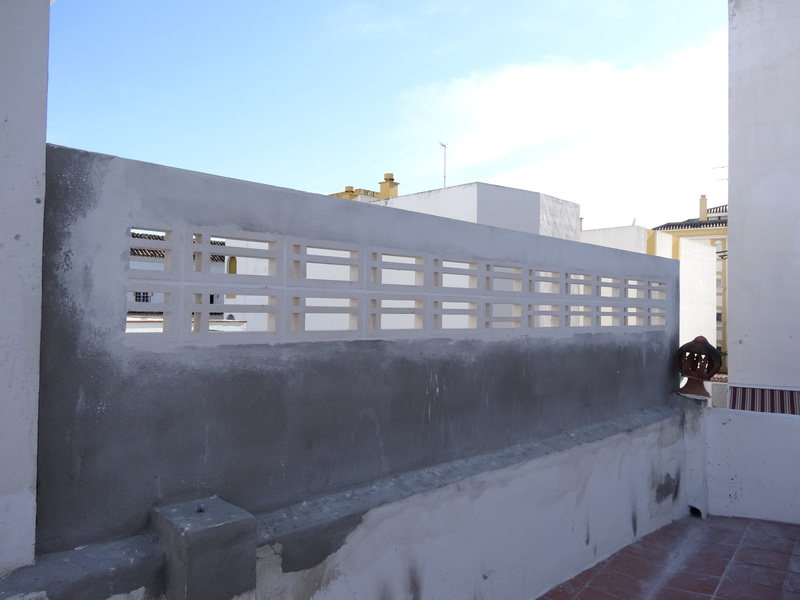 On tomorrow’s blog, you will see how our terrace went from virtual builders’ site to lavish sun-soaked spectacle, but for today I am concentrating on what is undoubtedly the central focus of my new terrace design. A wall mural. Having been deeply inspired by the simplicity of form and joyful mediterranean colours used by Matisse in his cut-outs which I saw at Tate Modern’s brilliant Matisse show a few months back, I wanted to create a mural which was characterised by the same simple forms of Matisse’s works (not least because they will be easy to touch up if weather exposure damages the mural at a later date), but which also features my own trademark essence of playful surrealism. 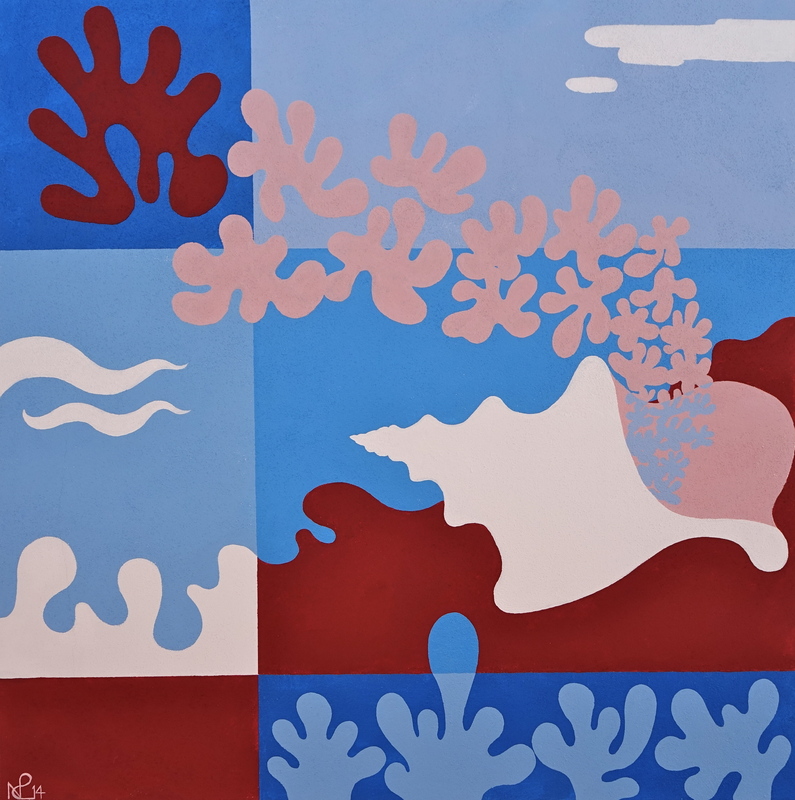 The result is an image which combines a simplistic seashore landscape with Matisse’s famous algae forms, geometric design, a limited colour palette of blue and terracotta, and the energetic depiction of those dancing algae appearing to burst out of a large conch shell until they morph into a burning red sun. Considering the size of this image (some 2 metres in dimension both ways), the fact that it was painted directly onto a rough concrete wall, and made at height, much of the time painted from an uncomfortable ladder, I am delighted with how this image turned out. Fresh, contemporary yet fun, it turns a blank stark wall into a feature of the terrace and matches perfectly with the painted accessories which complete the design – but more on them tomorrow. 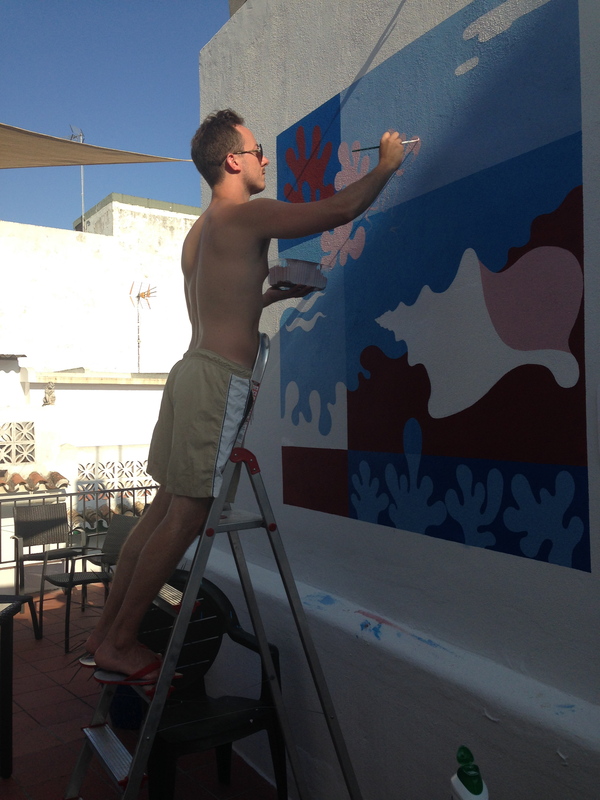 For now I leave you with photos of how the mural developed, and a finished look at the mural itself. I love it! Art with context is doubly meaningful.